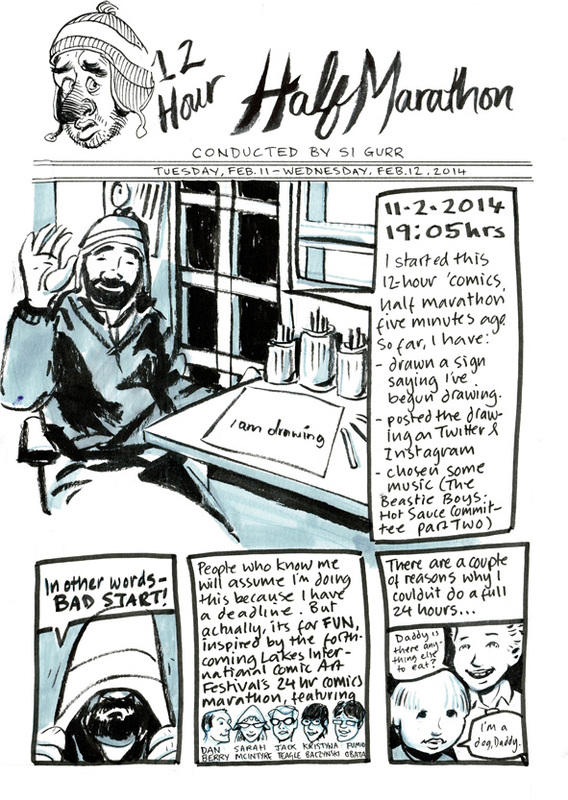 Inspired by the star-studded 24-hour comics marathon which Dan Berry is running for this year’s Lakes International Comic Art Festival, I wanted to try making a 24-hour comic myself. However, domestic and professional time pressures meant that was impossible this month, so I decided to do a 12-hour ‘half marathon’ instead. I started at 7PM on 11th Feb (with only a vague idea of what I was going to do) and finished at 7 this morning.